the stations to witness the show ‘Time Traveller - Magic Metro’.In the evening, cultural programmes were held at various Metro stations. The agency even provided commuters an opportunity to present their talents. Magician Muthukad performs as part of the celebrationsCommuters recalled memories of their first Metro journey. K V Sadanandan, a businessman said, “The greatest blessing Metro offers is that it saves time and if Iwant to reach Aluva, I no longer have to travel in bus nor spend more than one hour to reach there,” said Sadanandan. 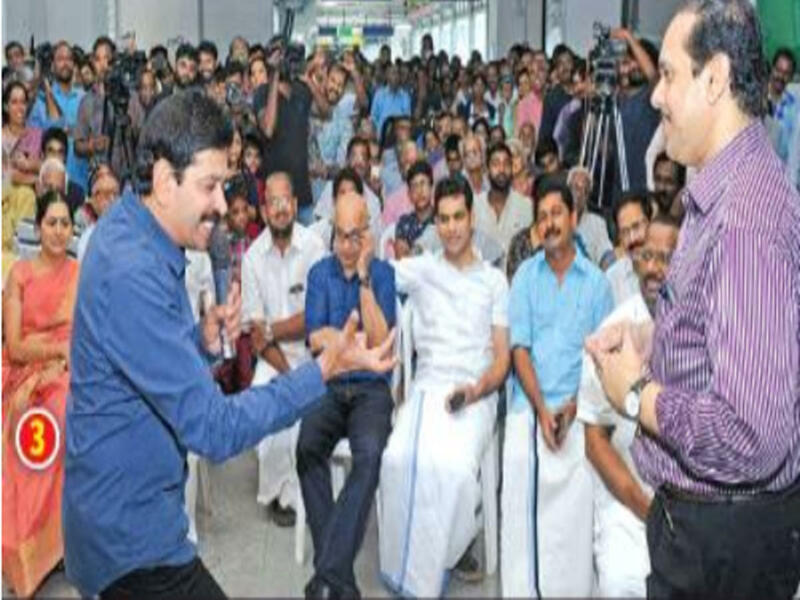 City residents said that they were looking forward for the extension of services to Kakkanad and Tripunithura.The next part of the celebrations will be held on Tuesday. The trains will operate between 8am to 10pm. There will be a service every seven minutes. “Police and KMRL’s security service provider have taken measures to handle the crowds expected to travel by the Metro,” said KMRL spokesperson.